Some of you already know I used to write Sexxy Saturday Cumbia on GB blog. But in case you did not know about my cumbia side. One of the biggest things that has ever happened to me, was to discover cumbia and its roots.. Exploring further chichera, I found what seemed to be the beginning of that sound. That guitar, rock sound was adapted eventually by more tropical bands, and eventually it developed the sound we all know as Chichera. listen to this song!! Brilliant! This one is an amazing sort of chicha/Champeta!! Discovering chicha changed a lot in me. It is a style of cumbia that is closely related to my past with my live bands I played in throughout the years. 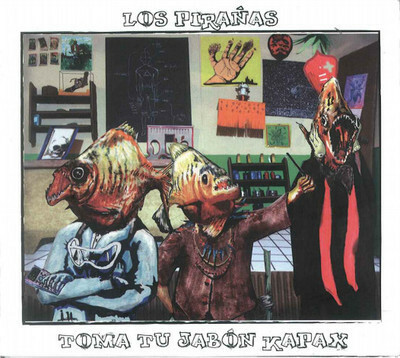 These Los Pirannas tracks are brilliant! Frente Cumbiero is on the front lines of innovation.